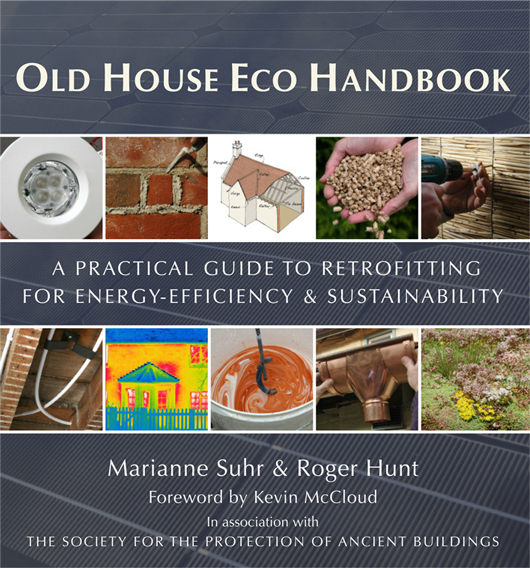 Co-author of the Old House Handbook Roger Hunt has just finished work on a companion volume called the Old House Eco Handbook (which will be available in March 2013). 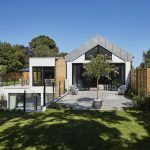 Although the first book was written in 2008, Roger says environmental issues and energy efficiency have now become much more pressing and so the time is right to focus on how this can be achieved for old houses. The Old House Eco Handbook is in association with The Society for the Protection of Ancient Buildings. If you own a period property that was constructed anywhere from the Medieval era to the Edwardian period, then this book aims to help you. Roger points out that after the Edwardian period building technology started to change and move away from solid walls to cavity walls. Lime-based products became less popular while the use of cement-based materials increased. In an old building it's not about keeping the water out, as the walls absorb moisture. Both the inside and outside walls are constantly absorbing moisture or allowing it to evaporate out. Modern cement-based materials try to keep water out of the building by using impermeable layers. Mixing the two methods causes problems. Roger believes that old buildings are not only part of the landscape but part of our communities. Getting rid of them will break up communities and destroy landscapes. Towns and villages have grown very organically through the years with little accretions, creating much-loved wibbly-wobbly streetscapes. In his opinion removing the old to make way for the new would be a bad move, not to mention all the embodied carbon and historic detailing that would be lost. View your house as a whole and don't just do one thing in isolation (like putting solar panels on the roof). Take time to consider all the things you could do. For example, loft insulation can make a big difference and it's a relatively simple project. Draughts can make a building feel colder than it is, so deal with those sorts of things. Roger illustrates the point by suggesting you wouldn't throw out an Edwardian chair because it had a damaged leg – you would get it repaired. In the same way if you have original windows you should not be looking to replace them with double glazing. Instead get them repaired and also draught-proofed at the same time so that they perform better, too. Draw curtains and blinds to make a room warmer. Put a wooden flap over the letterbox to stop the draughts coming in. Use a fabric sausage to stop draughts coming under doors. Roger is a great believer in Passivhaus and he thinks that it can really produce high performing houses. Roger has seen retrofit projects himself and he agrees that they have reached a high level of energy efficiency. However, the problem is the loss of character and historic detail of the building. These are the very features that make these buildings desirable in the first place. 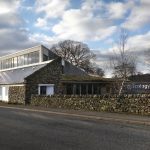 A Passivhaus retrofit means losing a lot of the original fabric of the building and balanced with the carbon, Roger is not sure whether it adds up. Some of those materials are irreplaceable once pulled out. The holistic approach is about insulation and finding the right energy generation methods to suit the building. If you’re in a very old leaky building in the countryside a biomass boiler might be the answer. If you’re in a town, an air source heat pump might be the answer. Every building is different. When Ben explains that he didn't notice any loss of character in a recent Victorian Passivhaus project he saw, Roger stresses that he is not against a Passivhaus renovation in the right circumstances. However, where original features exist such as dado rails, skirting boards, cornices and windows, he believes this is a lot to lose. This is not something that is set in stone and different people have different ideas on how it should be done. Putting together the Old House Eco Handbook has involved a lot of research to understand the current thinking. Roger believes this thinking will evolve as better ways of doing things are discovered. There is a fear that what is being done to many buildings will have to be ripped out in 10 or 15 years because of damp problems, etc. This would clearly not have a positive impact on the environment either. Although this book is offering solutions, it's also saying in many cases don't do anything. This does not just apply to you but to the wider community. So tackle all the other simple measures first to make the house warm and air tight, and perhaps leave wall insulation for a later project. 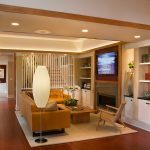 Balance the cost versus the gains, bearing in mind the potential risks of trapping moisture in the wall. Whether you insulate on the outside or inside of an old building you will lose features. While it's easier to insulate the outside of a building, insulating on the inside of the building is generally considered to have less aesthetic impact. There is also a risk of interstitial condensation occurring where the warm air meets the cold surface and dampness occurs. The science of this is not fully understood. This can cause timber in the wall, for example, to become rotten. A lot of test projects involving wall insulation are underway at the moment. Wireless moisture sensors are being embedded in the building materials to see whether there are really any problems. This is something we will only find out over time. Good design looks beyond the house to the neighbourhood. 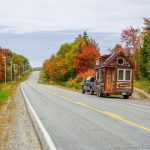 Roger uses an example of why a cluster of 12 houses might be a good idea, because it would be possible to for you to know all of your neighbours. He also says simple things like a bench out on the street or low garden fences to encourage interaction allow for good sustainable development. As an advocate of modern architecture, Roger likes simple white rendered buildings. However, he is aware that it would be a bit boring if they were everywhere. The character of a place is down to the variety of materials used there. 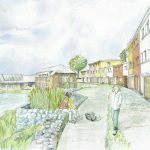 In the past houses would be constructed with materials that were available locally and Roger would like to see modern design adapted to reflect this regional identity. Roger is adamant that we need to improve the energy efficiency of our buildings. He does, however, think that buildings of historical significance are difficult to deal with and suggests that perhaps these buildings should remain as they are. It is the bulk of the housing stock that needs to be addressed. Roger talks about a picture in the Old House Eco Handbook (affiliate link), where a Morris Minor is parked in front of an Edwardian House. While cars have changed hugely in terms of energy efficiency, it does not mean that the classic cars have been updated with today's technology. While future generations may love us for making old houses more energy efficient they may hate us if we destroy what was good about them. Download a transcript of the interview with Roger Hunt. We're always trying to create more great content and one way of doing that is with the help of a few carefully chosen experts. Paul Mallion from Conker Conservation has become the first person to write a blog for us and we are very grateful to him. Read his article about why white paint is potentially a colour you don't want to use.